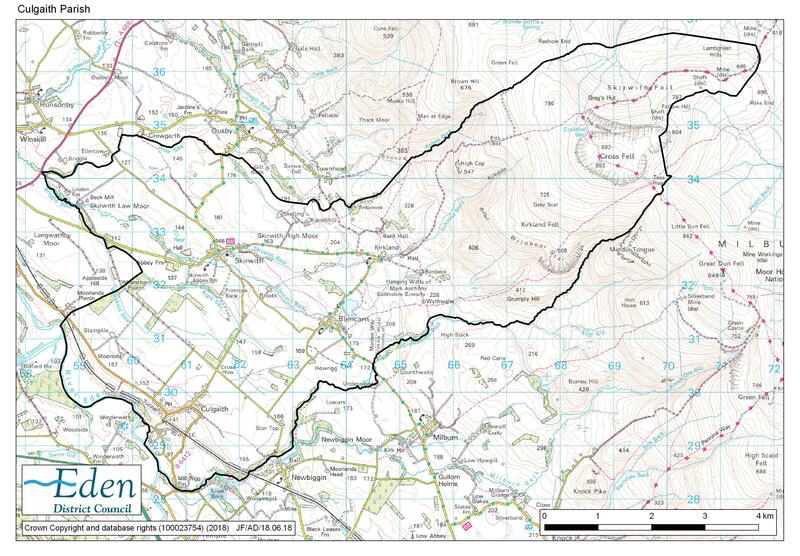 To set the scene Culgaith Parish is briefly outlined as follows. It comprises 4 communities – Culgaith the largest village, Skirwith, Blencarn and the hamlet of Kirkland. 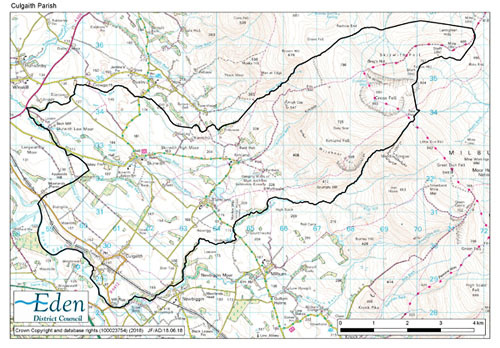 Bounded on the West by the River Eden, to the North by Ousby and Langwathby, the South by Crowdundle Beck and on the East by Cross Fell the Parish is attractively and rurally located on the Cumbrian East Fellside and within the North Pennine – an Area of Outstanding Natural Beauty. Each of the 4 communities has its own discrete character and range of services and facilities. Many residents of the Parish commute to jobs in various locations within and beyond Cumbria – the majority working in and around Penrith. With little or no public transport provision the vast majority are dependent on private cars for all transport needs. A larger than expected number of small businesses and associated employment opportunities was identified during the surveys, most operating from home bases. Recreation Ground with children’s play facilities. The Tarn Village Green comprised of a 3 ¾ acre field area and a further ¼ acre roadside area. A number of home based businesses including a number linked to the tourist industry. Culgaith does not have any other shops and does not have a Post Office, but is served by a weekly visit by a mobile Post Office service. The railway station closed some years ago and the nearest access to the service is at Langwathby. Public Transport facilities are limited to the services provided by the voluntary Fellrunner Village Bus Company. A large Village green of some 5 ½ acres and associated children’s play facilities. Skirwith was designated a conservation area in 2002. The former Sun Inn closed some years ago and there are no shops or Post Office. Blencarn and Kirkland Recreation Rooms. A large Village green of some 2 ½ acres. A number of farms and an agricultural/seed/contracting business. A man made Fly Fishing lake. The Rigg of some 33 acres over which commoners exercise grazing rights. A number of home based businesses. Blencarn has a Lord of the Manor but no shops or services. Like Culgaith, Blencarn only has access to public transport services provided by the voluntary Fellrunner Village Bus Company. A number of home based businesses some serving the tourist industry. The Parish also includes Skirwith, Kirkland and Blencarn Fells and Cringle and Stubmire Moors in all totalling some 7,000 acres of common land. 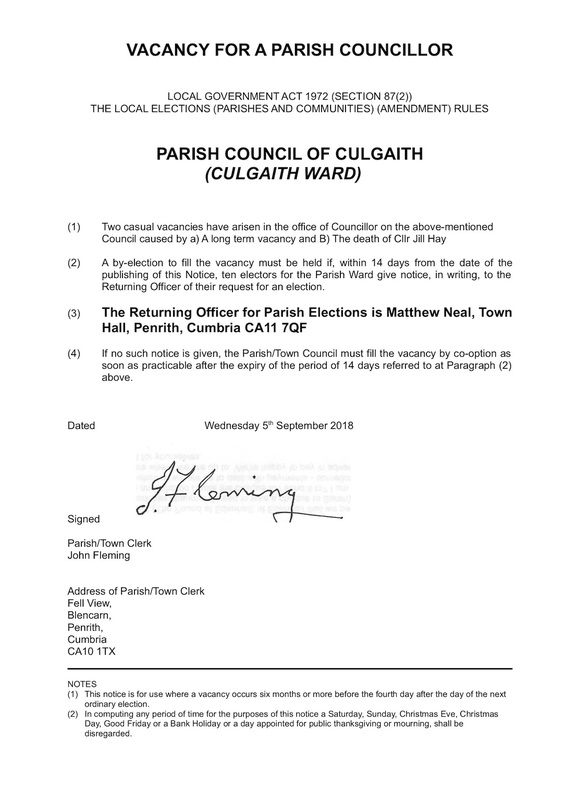 The Parish is divided into three electoral wards – Culgaith Ward with 5 Councillors, Skirwith Ward with 2 Councillors and Blencarn and Kirkland Ward with 3 Councillors.